Ditch cleaning was completed on Monday April 24th! After one unsuccessful attempt to clean ditches due to weather 10 of our fellow Rotarians gathered to clean ditches by Essig. The sky was overcast and threatened rain, but we were able to clean the ditches without issue. In all 19 bags of trash was collected. It is amazing to see what people throw from their vehicles or what falls from trucks. After our cleanup task was complete several of us headed over to Carl's Corner for a drink and pleasant conversation. 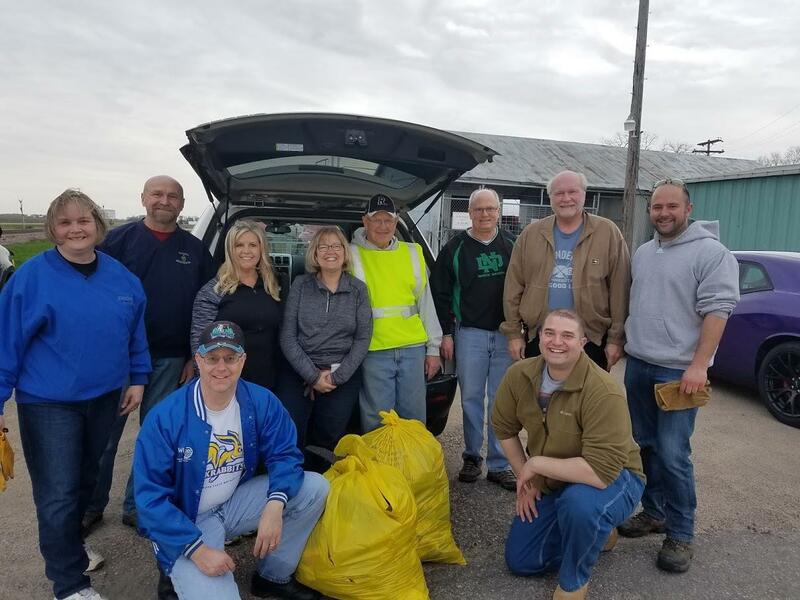 The ditch cleanup effort is a nice opportunity to get some exercise and of course socialize with fellow members outside of our regular meetings. The best part is we get to clean up our environment! !